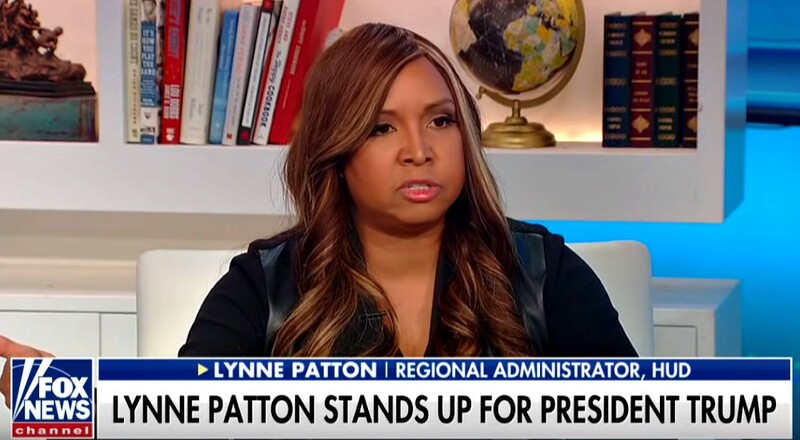 Lynne Patton is a distinguished, respected, and accomplished member of the Trump administration. She works in the Housing and Urban Development department with her boss, Dr. Ben Carson. Oh… and Patton is also an African-American woman. Earlier this week, Patton was called on as a character witness for President Trump (because Democrats were implying that the President is a racist). However, Patton’s presence wasn’t appreciated and Democrat Congresswoman (and noted anti-Semite) Rashida Tlaib (D-MI), decided to call her a “prop,” who was being used by racist Republicans. That didn’t sit well with either Patton or the man who called on her to attend, Congressman Mark Meadows (R-NC), who Tlaib also insinuated was a racist. Meadows was irate, demanding that Tlaib apologize and that the Democrat chairman, Elijah Cummings (D-GA), defend him (something Cummings ends up doing). To say that Meadows was angry, would be an understatement… but Patton was also very upset, she later appeared on Fox News to slam Tlaib’s ignorant comments. What I’d like to ask the congresswoman from Michigan is you know, why does she take the word of a self-confessed purgoror and criminally convicted white man over a black female who is highly educated, rose up through the ranks of one of the most competitive companies in real estate, spoke before 25 million people at the Republican National Convention and now works at one of the most historic administrations in history. So to me, that would be my question. That’s more racist than being put up there as a ‘prop.’ You know, Trump has time and time again done so much for the black community and I’m proud to be a part of it. Democrats won’t stop playing the racism card until Republicans force them to. It’s time that every Republican, every conservative, and every independent begin demanding that the Democrats stop playing games with such serious subject matter. Otherwise, the climate in D.C. will never get any better.